North Georgia – Last year, Georgia experienced one of the worst flu seasons in recent history. This year, even before the typical peak of flu season, the CDC reports that Georgia is already experiencing high and widespread numbers of flu-like illnesses and confirmed cases. North Georgia Health District officials urge residents to vaccinate before the peak of flu season, which usually begins in this region by mid-January and lasts through the end of February, possibly longer. It takes a couple of weeks for flu vaccine to reach its full protective potential within the body, so now is a critical time to get the shot for those who still need one. Influenza can be a serious disease that leads to hospitalization and sometimes death. Regardless of race, age, gender or ethnicity, anyone can get sick from the flu. Those especially at risk are adults 65 years of age and older, children younger than 5, pregnant women, and people with certain chronic diseases such as asthma, diabetes, heart disease or other long-term medical conditions. Even healthy children and adults can get very sick from the flu, but flu vaccine is the best protection. Both regular quadrivalent flu vaccine, which protects against the four strains of flu virus that are most commonly circulating this season, and high dose flu vaccine for people age 65 and older are available at local health departments in Cherokee, Fannin, Gilmer, Murray, Pickens and Whitfield Counties (contact information for each of these health departments is at www.nghd.org). The health departments accept several forms of health insurance as well as Medicare and Medicaid so that vaccination is cost-free to the client. For people without healthcare coverage, regular flu vaccine is $25 and high dose flu vaccine is $65. When possible, stay home if you get the flu. But most importantly, before flu season peaks, people should make it a top priority to go to or call their county health department or health care provider to be vaccinated. For more information on immunization, visit the Georgia Department of Public Health website at http://dph.georgia.gov/influenza-what-you-need-know. 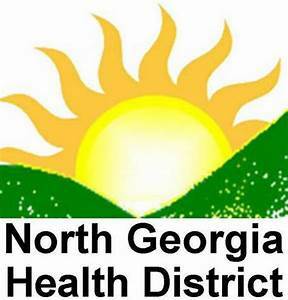 North Georgia – North Georgia Health District officials report that there has been an increase in the number of stomach virus and influenza outbreaks in north Georgia and warn that the results could be severe, possibly requiring hospitalization. Everyone 6 months of age and older should be vaccinated against the flu. Flu vaccination is especially important for people who are at greater risk for complications from flu and those who live with or care for these individuals. Groups of people that are at high risk for flu complications include children younger than 5 years, adults 65 years and older, and pregnant women. Medical conditions such as asthma, chronic lung or heart disease and diabetes can also increase the risk for flu complications. “Flu vaccine is available at all our health departments in Cherokee, Fannin, Gilmer, Murray, Pickens and Whitfield Counties,” said Gregory. For health department contact information, click on the LOCATIONS tab on the North Georgia Health District website at www.nghd.org. Flu symptoms may include a fever, cough, sore throat, runny or stuffy nose, muscle or body aches, headaches, fatigue, and/or, possibly, vomiting and diarrhea. 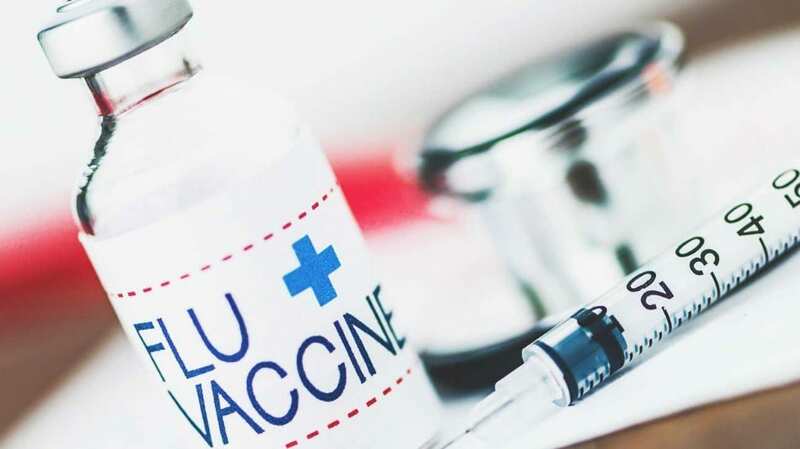 People at higher risk for complications from the flu should seek medical care as soon as they begin to feel ill, even if they have been vaccinated. They could benefit from antiviral drugs, that can reduce the risk of experiencing complications and reduce the severity and duration of illness. Antiviral drugs are most effective when given early in the onset of illness. Stomach viruses, such as Norovirus, are very contagious and can infect anyone. These viruses can be spread to others by an infected person, through contaminated food or water, or by touching contaminated surfaces. These viruses can cause the stomach and/or intestines to become inflamed, which leads to stomach pain, nausea, diarrhea and vomiting. These symptoms can be serious for some people, especially young children and older adults. To reduce the spread of influenza and stomach viruses, take everyday preventive actions(https://www.cdc.gov/flu/protect/habits/index.htm) to stop spreading the viruses. Get a flu shot – this will protect you against the flu virus, which will be especially critical if you are infected with some other virus. While sick, limit contact with others as much as possible to keep from infecting them, especially avoiding healthcare facilities and long-term care homes. Avoid having children inside healthcare facilities and long-term care homes to protect them from catching viruses and to prevent them from spreading viruses to the people who are there. For more information about influenza and its prevention, log onto to the CDC website at https://www.cdc.gov/flu/about/index.html. Learn more about preventing the spread of stomach viruses at https://www.cdc.gov/norovirus/index.html.